Leopards defeat Frisco Wakeland 15-4. Great win a #1 girls doubles by Samantha Hayward and Abby Sibson defeating 2 super champs. Boys rolled all 3 doubles and won 5-6 singles matches. The Lovejoy Varsity tennis team beat Frisco Liberty 16-3! The leopards went up 5-2 after doubles and went on an 11-1 run in singles. They played very well and continue to grow every match! The Lovejoy varsity tennis team beat Frisco Reedy by a score of 13-6. 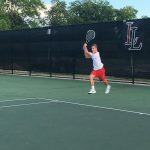 The leopards went up 5-2 after doubles by winning two 10 point tiebreakers. The team is now 3-1 on the year! 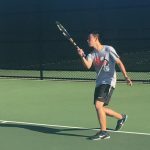 Tuesday, September 13, 2016 4:00 PM Wylie East High School AWAY 0 Lovejoy High School HOME 19 Meet Recap Junior Jack Bennett hits a backhand winner and fights through a tough match at number one boys singles! The Leopards dominated 3rd Place Wylie East 19-0! 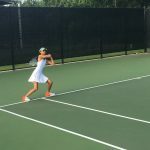 Tuesday, September 6, 2016 4:00 PM Lovejoy High School AWAY 19 Forney High School HOME 0 Meet Recap Abby Sibson rips a forehand winner to secure the 6-0 singles win! 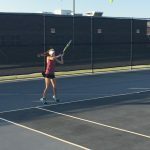 The leopard tennis team won 19-0 and will play Mesquite Poteet next Tuesday! 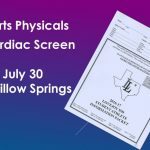 Tuesday, August 23, 2016 4:00 PM Lovejoy High School AWAY 1 Highland Park High School HOME 18 Meet Recap The Leopard tennis team fought hard, but lost 1-18 to Highland Park. 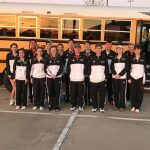 Friday, August 19, 2016 10:00 AM Lovejoy High School AWAY 17 Frisco Heritage High School HOME 1 Meet Recap The Leopard Tennis Team continued their winning streak by taking down Frisco Heritage 17-1! 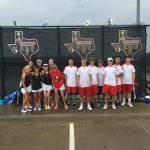 Thursday, August 18, 2016 5:00 PM Lovejoy High School AWAY 7 Justin Wakeland High School HOME 1 Meet Recap The Lepaord Tennis team dominates with a 7-1 victory over Frisco Wakeland!